The marquee signing of Dane Byers, a former NHLer, in June 2017, did not disappoint. The Canadian forward amassed 125 points (53 G 72A) in just 111 EIHL appearances. Ahead of the 2018-19 season Byers took over the Manchester Storm captaincy, succeeding another former NHLer (Jay Rosehill). In his debut EIHL campaign, Byers finished 7th overall, in terms of points, with 70 (24G 46A), in only 55 outings. 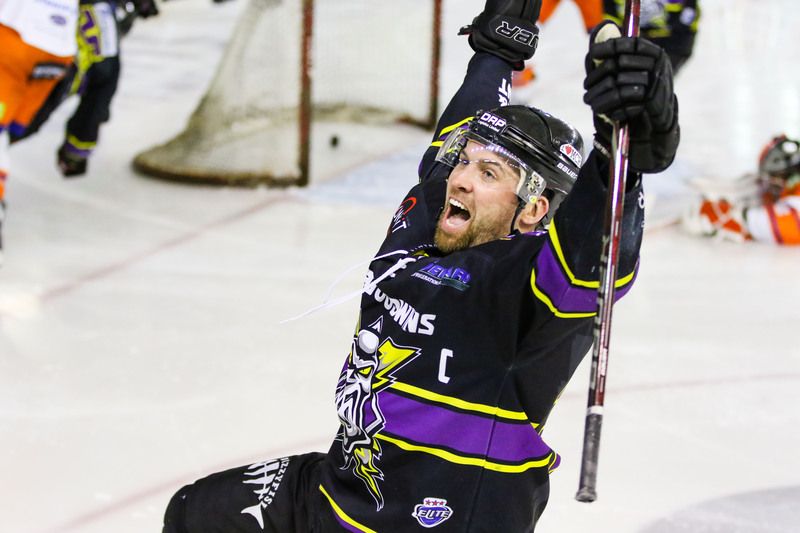 Despite a slightly slow start this season, captain Byers was still able to collect 55 points (29G 26A), in 56 games and finish 7th top goal scorer in the Elite League. 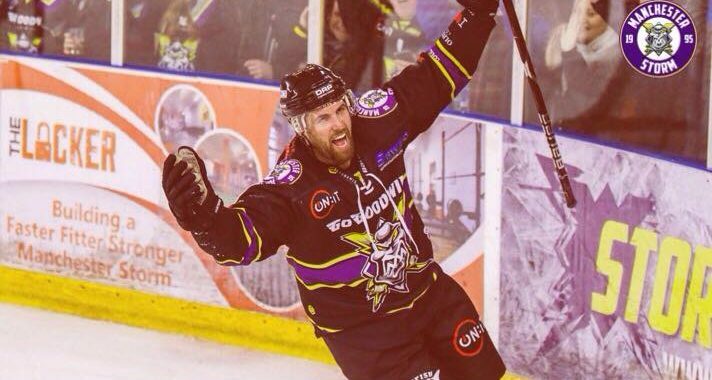 The 13-year veteran forward blended playmaking and physicality across his two-years in the EIHL, with his trademark saucer pass straight to the slot, something which will live long in the memories of Manchester Storm fans. After the conclusion of the 2018-19 season, Byers informed the Storm coaching staff he had retired from all forms of professional ice hockey and would be returning home to Canada. “I can still remember my first phone call to Dane…I wasn’t really expecting him to sign with the Storm, but after a few minutes talking he was signed up! Dane was really excited about playing in the Elite League and completing his MBA at the University of Salford. He planned on retiring last year, but he enjoyed it so much he wanted to come back and play another year here in Manchester. We had a few questions for Byers following his retirement. You have played in some of the best competitions in the world, so how did the EIHL standard compare to those? Yes, some other the other leagues are higher quality…but the first line over here is just as good in my opinion. The Elite League has some really good hockey players though and I don’t think people really realise that. What was it that brought you to Manchester in the first place? Well my brother played over here, in Hull. He had also played with Ryan Finnerty back in Victoria in the East Coast League…so the relationship was already in place. It was a connection through my brother mostly which brought me here. How have you found life in the UK? I just love the culture, sometimes back home in Canada, we get caught up in our own little world with the TV shows and stuff. In the UK though everybody likes to get together and hang out with their friends daily. I love how after work people don’t go home and just watch TV…they go to the pub and have a catch up! I think that is what life is about you know, being around your friends and family. What are your plans for life after hockey? I did my Masters in Business last year and just got a job with my buddy in Saskatoon, Saskatchewan. He plans on opening an office and I am just going to shadow him for a while. I have been taking some more classes online just to get back up too speed. I am really excited for that, plus I will have time to coach the children hockey and help my wife. Do you have any special moments/highlights in your career? Well I was lucky enough to play in the NHL, albeit not for very long…but I still achieved that, so I am very proud of that. I have made so many special moments in Manchester though, our third child was born here so it will always be special to my family…I have always said I will come back here, just because we have enjoyed it so much. Manchester is just a really special place to us. 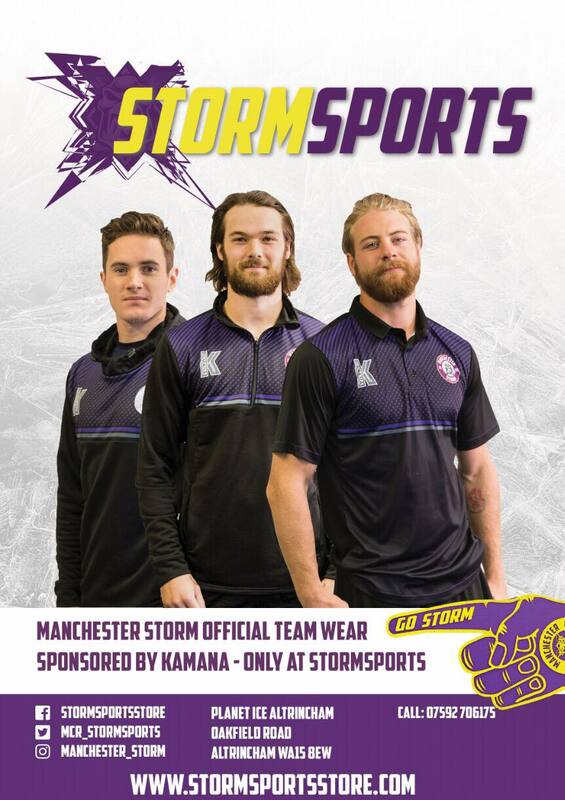 Do you have any last words for the Storm fans? I just want to say thanks for the support over the last two years. Whether we lost or won they always cheered for us and that means a lot to me. Plus, it was so much fun playing in the Storm Shelter when it was packed, the atmosphere was just electric! Everyone around the rink was so nice to my kids and family. On behalf of everybody at Manchester Storm, the club would like to wish Dane and his family all the very best for the future!